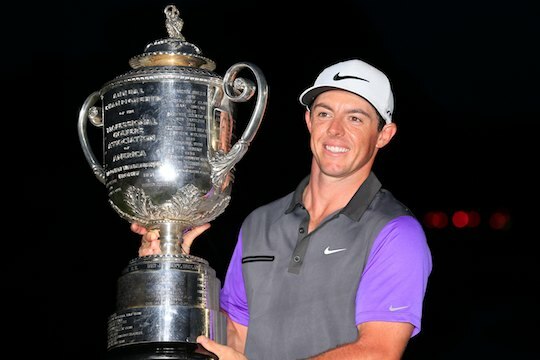 Rory McIlroy was still beaming after claiming the all-new Players Championship golden trophy when his odds to capture next month’s Masters shortened to just 7/1. An Irish-based bookie has installed the new World No. 4 as a favourite to capture his fifth Major and become just the sixth player in history of the game to win the Grand Slam. World number one, Dustin Johnson, is second favourite at 10/1 while Justin Rose is 12/1.